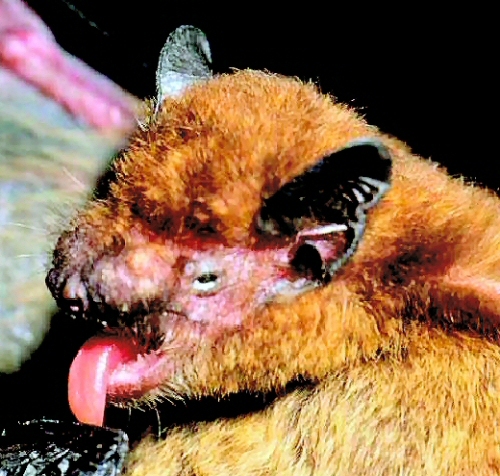 The Miniopterus griveaudi is a bat that was found on the Grande Comore and Anjouan in the Comoros and Madagascar. 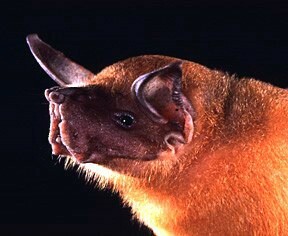 This bat has a forearm length of about 35 to 38 mm. It is dark brown, but sometimes it is reddish in colour. It has a tragus which is a projection like object inside its ear, which is narrow and ends in a rounded tip. Its tail membrane is almost naked. Its skull is concave and the front part is rounded. 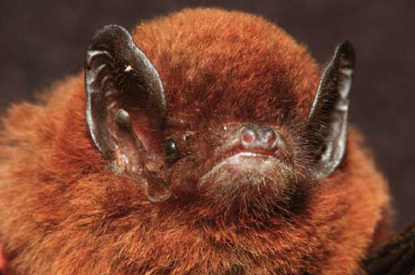 This bat species lives at elevations of up to 480 metres above sea level in Madagascar. These areas are usually around Daraina in the east of the island. In the Comoros, it will reach elevations of up to 890 metres, where it roosts in shallower caves and lava tubes. Other than this, not much information is known about this bat. In fact, it was listed by the IUCN Red List as being “Data Deficient” in 2008.